(Insert any Von Miller tweet here.) That guy is funny. These are two pretty good teams that played like dogshit last week. The Raiders are working their way back to Oakland, like the Warriors. In their way this week are the Denver Broncos, whose defense is scarier than any of the gangs in that movie. I mean really. The Baseball Furies? We grew up in NY in the 70s, so we know one thing. 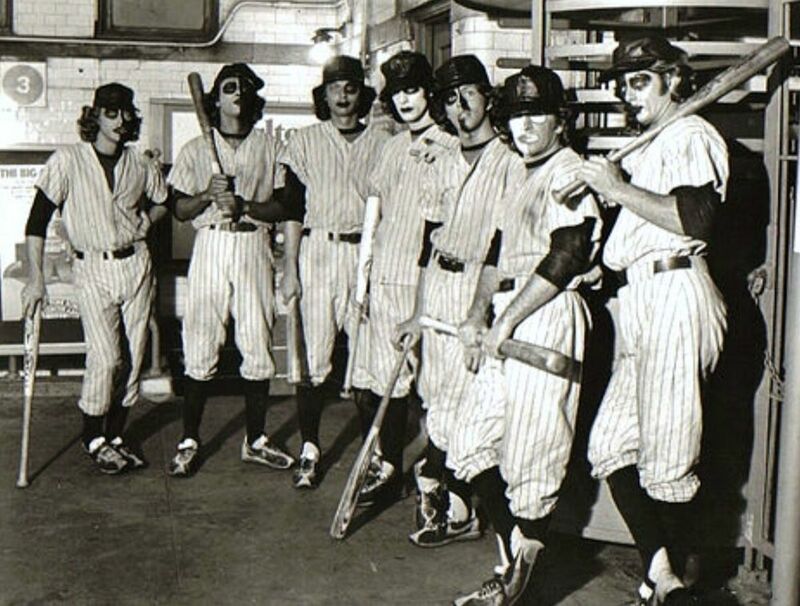 If your gang was named the Baseball Furies, and you dressed in a baseball uniform with pancake makeup on your face, um .... then your gang wasn't going to be the favorite to win any gang-related contests. Conspiracy theory: Cyrus wasn't murdered by that creepy bottle finger dude. He choked on his own spit laughing at the Baseball Furies and those dudes in the overalls and rollerskates. Although they score points for their groovy 70s striped shirts. CAN YOU DIG IT?!? This could be the week where Marshawn shows a little age against the best rush defense in the league. 2/6 yds/rush, 59.7 per game. Related: my picks are late this week because I watched the Warriors like 3 times since Tuesday. After a few weeks of doing these picks for real, I wonder if I just like taking the extra half point no matter what. That would make me what they call “a sucker”. At least I'm not a Baseball Fury. But how can you take Arizona after last week’s debacle versus a Dallas team that’s not as good as their record? Rushing 3 men they were all up in Palmer’s face all night. Even Larry Fitzgerald couldn't save them. If you can drop 8 into coverage and still get pressure, you’re not going to lose. It may get ugly for Arizona as the year goes on. These teams are more evenly matched than this line indicates. I heard that San Francisco is going to try rushing 2 just to one-up the Cowboys, Name that Tune style. I bet they still get 3 sacks. See above discussion of the hook. If the Giants don't win this game, someone’s going to be cashing a Ben McAdoo first coach to be fired ticket. This line opened at pick ‘em, and is now Chargers -2. That’s scary for this team, since the public is usually wrong. You know they’re more talented than their record …. But that doesn't mean they will win games. Eagles move to 2-0 at home after winning this game in Los Angeles. I’m bringing a Vick jersey and few batteries to throw, just in case the place tips to 75% Eagles fans. One note about StubHub. Half the seats (behind visiting home team) are in the sun, half (Chargers) are in the shade. The sun seats resell for cheaper than the shade seats. The shade seats, by the way, are particularly delightful. 90% of the away crowd is in the sun seats, making that entire section red, or teal, or green and black as it will be this Sunday. It’s disconcerting. The shade seats are 50% Rivers jerseys (free jersey with season tickets. Does anybody want one? Please? 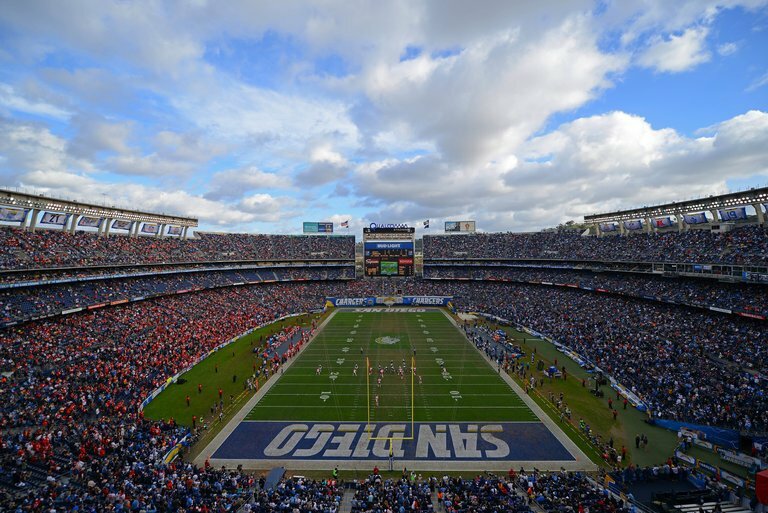 ), 10% other Chargers jerseys, 20% other team, and 20% empty. September check? NO! October 1. Time for the Hawks to start filling it up! Take a hug from Coach Pete! Indy’s defense might be just what the doctor ordered for the Seahawks offense. They're back at home after coming up with 27 vs the Titans (don't ask, please. No seats available on Titans bandwagon). They may not be much more than a .500 squad, but they’re not going to start 1-3. Their offense is moving the ball, 340/game, but just not scoring too much. The infamous bend but don't break offense. But this week we think they break through. It will only take a couple of scores to win it. A couple more to cover 13.5. This game seemed at first a good candidate to ruin every survivor pool in the country. But we just can't get there.